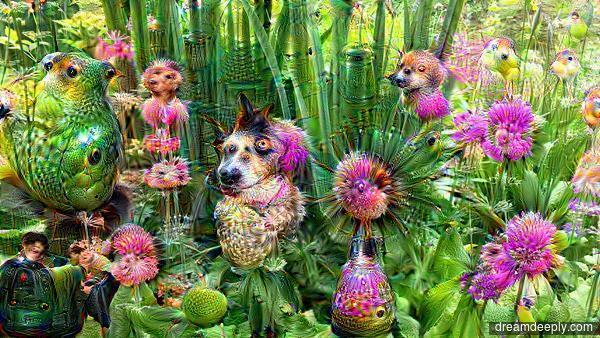 I’ve already posted a selection of pictures that have had the Deep Dream treatment, (photos that have been uploaded to Google’s open source artificial neural network, allowing sleeping computer servers to “dream” about them) over on Photo Sans Frontiers, but I haven’t been able to stop playing with it since, so here are ten of the best of the rest. As before, bizarrely mis-shapen dogs feature prominently. What is it about computers and dogs? No people were in the original picture, just flowers. Just a tree in a stream. A.W.O.L. bloggers, Todd and Dustin. There’s nothing I like more than a good gadget and at this time of year you can’t move for the stacks of shiny new gizmos clogging up the aisles of supermarkets and electrical shops, so on boxing day I went down to the high street with one particular new toy in mind. 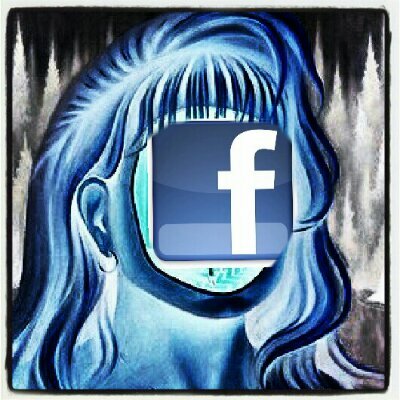 Now, I’ve always made it an idiotically stubborn point of honour that everything you see on Diary of an Internet Nobody got here via the magical silicon circuits of my treasured smartphone, primarily because I didn’t have a computer when I started, and having discovered the wonders of the Android operating system, never found the need for one since. Fortunately, having consulted the goalpost-moving department, I’ve found that I’ve only ever actually been restricting myself to the operating system, not the device. 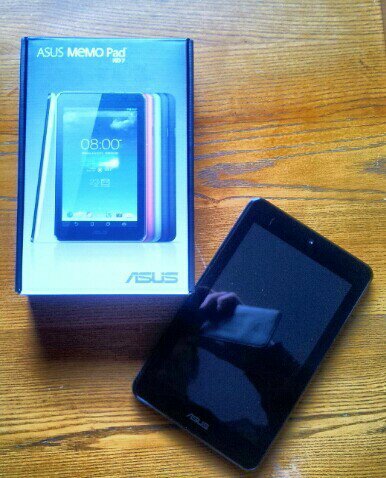 Anyway, the upshot of all this is that I took the plunge and bought an Asus Android tablet in the sales. For what is essentially a cross between a larger version of my phone and a small, flat, quad-core computer, I paid the princely sum of £70. How they even make them for that price let alone sell them is beyond me. But I’m not one to look a gift horse in the microprocessors and I have been very pleased at the increased speed and responsiveness of my lovely new small object of desire. I’ve spent the last couple of days installing and playing around with the tablet versions of various applications that are duplicates of those on my phone, such as the photo editing software, WordPress app and anything else necessary to publish the blog, and I have to say that I’m extremely impressed with my new toy blogging tool. We didn’t do an awful lot over the festive period, just popping out for a family lunchtime drink and a few games of pool at a local pub on Christmas day, before returning home to eat too much and slob out in front of the TV for the Dr Who Christmas special and the superb Troll Hunter movie. 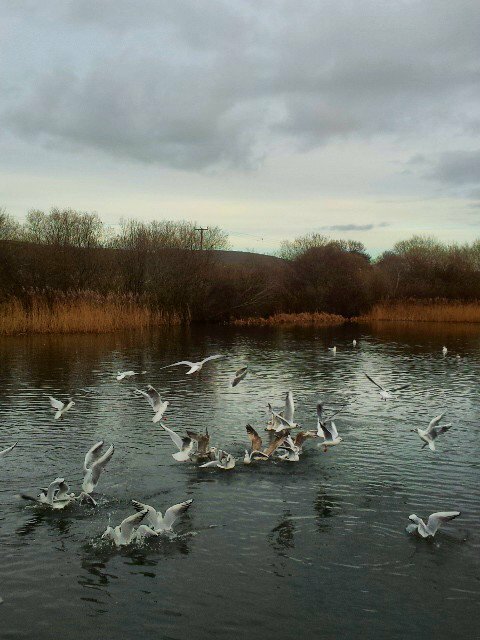 But on boxing day – after I’d been tech-bargain hunting – since the weatherman had assured us (accurately for once) that this would be the most sensible day to do anything outside over the holidays, we went to the wildfowl reserve on the The Tarka Trail to feed the ducks, walk off the previous day’s excesses and take some photos of the starkly beautiful winter colours around the lake. 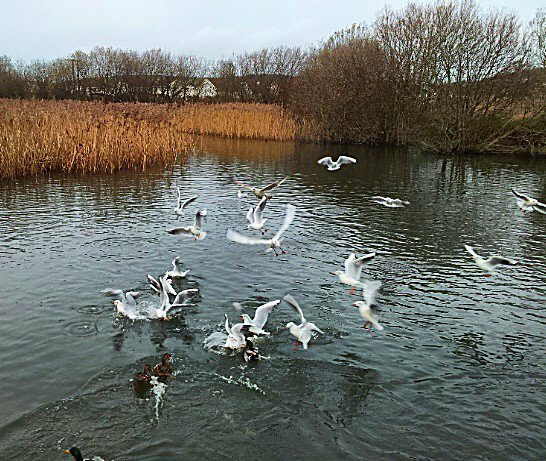 As it turned out, I also got some nice action shots of the ducks feeding, or rather trying to feed, whilst being dive-bombed by the large flock of terns that’d taken up winter residence. 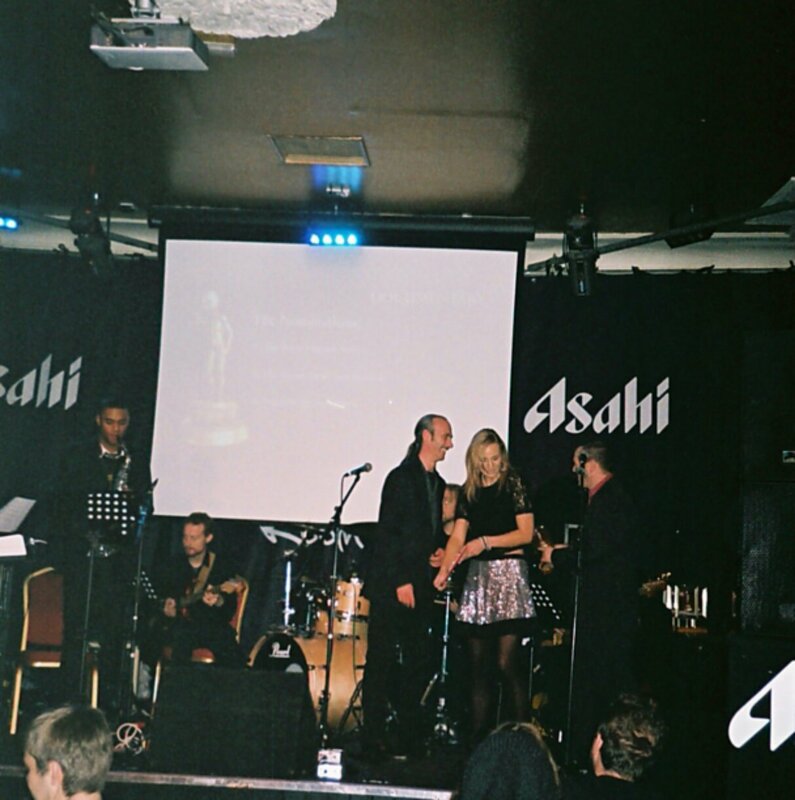 Oh, and while we’re on the subject of photography I’d like to thank Ho for sending in these shots of me collecting a Golden Face Palm award on behalf of pseudo-political buffoon, Nigel Farage, presented to me by the lovely Emma Stevens. Talking of being presented with things, (told you the Tenuous Lynx habit was going to be hard to break) my old friend Chris has been over to stay for the last couple of days, bringing with him an unexpected gift. Some years ago a sizable chunk of my irreplaceable vinyl album collection disappeared under suspicious circumstances, never to return, including my entire Pink Floyd back catalogue. I have slowly managed to replace a lot of the music I lost with CDs and mp3 files, but as any vinyl collector will tell you, that just isn’t the same. 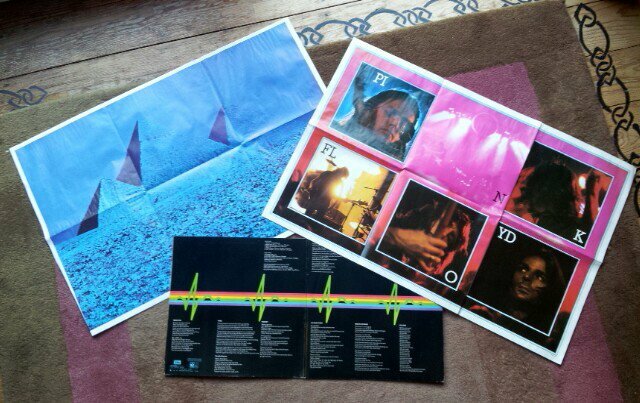 So imagine my delight when Chris arrived with a vinyl copy of Dark Side of the Moon, complete with gatefold sleeve and original posters, all in practically mint condition. What with having to connect up my neglected turntable to play the classic plastic platter, we then indulged in a spot of vinyl nostalgia and you can listen to a few lovingly chosen tracks below. So welcome to version 2.0 of the blog, bigger, faster and easier to see, (for me anyway, having picked up my first-ever pair of reading glasses a couple of months ago the larger HD screen is far better to work with) but other than that the new year promises more-of-not-the-same eclectic nonsense and ranting that a very agreeable number of people seem to want to continue reading. Which reminds me, over the holidays my stat counter informed me that Diary of an Internet Nobody has now clocked up the magic number of 20,000 hits (20,114 when writing this) and nearly 270 followers, for which I would like to extend my heartfelt gratitude. I shall endeavour to make your loyalty worthwhile. Let’s finish with some music then, which I shall dedicate to Chris in paltry exchange for my prog-tastic Christmas present. In one of the very first posts on this blog I stated that I would not be using it to evangelise about my taste in music, nor would I try to convince you that you should be listening to the new tune by my current favourite band, or that your liking for Sting or Phil Collins is an unacceptable abomination, (which it clearly is) because, as the brilliant (but, in the UK, largely unknown) comedian Martin Mull once pointed out “Writing about music is like dancing about architecture”. I’ve always thought his quote was excellent, perfectly summing up the total subjectivity of personal taste and, at the same time, illustrating how pointless it is to try and explain something as ephemeral as music. However, it was only recently that I discovered the genesis of the saying. Despite the fact that it has been attributed at various times to people as diverse as Frank Zappa, Elvis Costello, and even Steve Martin, the phrase (or at least the formula for it) has been in use since as far back as the 1920s, when any two activities were juxtaposed in a similar way to emphasise incongruities in the name of comic effect. Ah, ok, that’s not a good example. Anyway, given the tangential way my mind works, I somehow managed to make the leap from the “a about b is like x about y” formula to a 1940s parlour game called Winkle’s Wedding which I used to play with some friends in Sussex. The connection being missing words. The idea of the game was very simple. 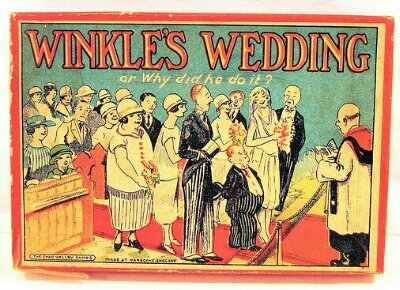 The tale of Winkle and his sweetheart’s wedding was printed in a booklet that was read out by one of the players, but which also had strategically placed gaps in the text. The other players (up to six if I remember rightly) were dealt a hand from a pack of cards that had words or phrases printed on each one, and at the point at which the narrator reached a gap in the story, the next player in turn spoke the word on their card. And the next two cards in order of play could be “duck” and “umbrella”, causing much innocent hilarity. Now, it occurred to me that in this age of smartphones, computers, predictive text and auto-correct, it should be possible to construct a 21st century version of the game whereby a word is chosen at random from a list of suggestions provided by your device. Unfortunately this method didn’t work quite as well as I’d hoped, the difficulty being that it’s remarkably hard to intentionally misspell words with the hope of getting comical suggestions from a silicon brain with no sense of humour. So I’d like to set a challenge to any of you that have some time on your hands over the weekend. I shall provide a list of words at the bottom of this post which can be copied onto bits of paper, shuffled, then placed face down in front of anybody willing to help with this experiment. You should pick a well known passage from a book, song, poem or any other source material you fancy and then remove some carefully selected words from the text, (anything up to a dozen or so should do it) leaving gaps to be filled in afterwards. As you narrate your chosen passage, the other player (or players) must pick random pieces of paper and read out the words on them to fill the gaps. You then copy the words in bold into the text (to show where the gaps were) and post the result in the comments section of this post. If you so wish, you can also provide me with your own list of insertable words, with which I shall attempt to do something similar at this end. I have no idea whether this silly game will work. For all I know, blogging about Winkle’s Wedding is like tobogganing about palaeontology, but it’s worth a try. Whilst chatting to Ho the other day, I urged him to go and see an event near him in Sussex where a literary hero of mine, Terry Pratchett is giving a talk this weekend. Ho is not a fantasy fiction fan, but I assured him that it would be worth going to see Terry speak anyway, as he’s a fascinating man. I have enraged your advice and spandex a ticket to badger Terry Pratchett this treacle. I will foam finger your testicles later to let you dribble how it excreted. A fine first attempt at my hybrid parlour game, I’m sure you’ll agree. 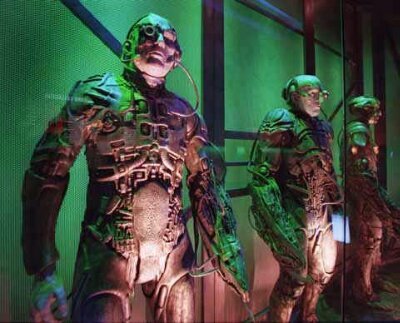 Some of the best sci-fi creations of recent years are The Borg, those cold and emotionless, humourless, part man, part machine assimilation addicts from Star Trek : The Next Generation. And despite their deplorable lack of compassion, inability to tell a good joke and unimaginative fashion sense, they do have one thing in common with their human counterparts, albeit rather overdeveloped. Now, you may not think that you’re part of a gestalt collective with a communal consciousness, but there have been some very interesting studies conducted which seem to suggest otherwise. In 1991 in California, a computer scientist carried out an experiment involving a movie theatre audience, a vintage video game called Pong, and some coloured paddles. The audience were not given instructions or told what was going to happen, or what the small paddles they found on their seats were for. The paddles were red on one side and green on the other, and with the use of hidden cameras and computers, could be used to control the moving bats on the movie screen. One colour being shown by more than half of a given section of the audience would cause a bat to move upwards and the other would make it go down. The audience were given a few minutes to see if they could work out what effect the paddles had on a cloud of coloured dots projected on the screen before the Pong screen appeared. Before Call of Duty there was…. Pong. To get the bats on the screen to successfully keep up a rally, the audience would have to collectively (and instantaneously) decide what proportion of paddles on their side of the auditorium showed each colour, to ensure the bat would rise or fall the correct distance in order to intercept the moving ball. A load of strangers with no clue what they’re doing there, no way to communicate with each other in time to pass multiple instructions, and no practice. Well just watch the amazing short clip, via the link below, to see just how wrong that assumption is. Collective consciousness does seem like a tempting explanation doesn’t it? And that isn’t the only example of how a large group of people in collaboration can get better results than individuals working alone. How about the study, made by Francis Galton, of the spectators at a county fair in the 19th century. Galton established that when nearly 800 people attempted to guess the weight of a 1900lb prize ox at the show, even though the individual guesses ranged from vastly overweight to ridiculously light, the average of all the recorded guesses was only 1lb out. This principal also works with crowd estimates of numbers, time and distance, and although it doesn’t have quite the same dramatic impact as the Loren Carpenter Pong experiment, with a little forward planning, crowds could possibly use their collective perception to predict all sorts of outcomes, from lottery results to poker hands. It makes me wonder whether the great hive mind might not be the pool of inspiration that we all dip into from time to time, fishing for ideas. And as I mentioned in my last post, it may explain why some of us come up with the same ideas simultaneously. It’s strange to think that an entire generation will grow up without having known a world which wasn’t cocooned inside the World Wide Web, everyone on the planet only a mouse-click or screen-tap away from everyone else. And all that time, they’ll be documenting, photographing, tweeting, sharing, and yes, blogging, about every detail of their lives. For example, here I am writing this post, the act of consigning these very words to virtual perpetuity frozen in the technological amber of our age. And everyone that comes into the world from this moment on has the opportunity to chronicle their whole existence, from cradle to grave, laid out on the global slab of the Internet for all to see, if they so wish. But how wary should we be of committing our every experience, wish, and desire to the memory of the great hivemind? In this age of surveillance, cyber crime and identity theft, how wise is it to have every detail of your life available to anyone with a laptop or smartphone? There are obviously a great many advantages to being so instantly connected to the rest of humanity. The support that can be given to friends and family in times of strife is greatly enhanced by the ability to chat and interact via e-mail and on social networking sites like Facebook and Twitter. I myself largely discovered Facebook after using the site to communicate with old friends during the sad time following the death of a close mutual friend a couple of years ago, and it does encourage you to stay in touch. I also have a friend overseas who is currently going through a rough time after the death of a loved one, and I know that she will have many online friends to rely on for support in the days ahead. Parents separated by mere distance can share in the moment of their child’s birth via the wonder of technology. Or, if any of you have a lot of show business friends, you could always stage a massively successful viral video marriage proposal extravaganza, like Isaac did. And, believe it or not, you can now even attend a funeral via the Internet. We still have the distinctly sci-fi, and slightly sinister Google Glass to be rolled out to the masses, after being test driven by the elite few who managed to grab a pair of the ultra-high-tech cyber-goggles on their initial release. “Yay! Now my friends can see me go to the toilet” – A Glassing victim, yesterday. Theoretically, you will now be able to record your every millisecond of consciousness, in super-surround-sound-360º-high-definition-3D-holo-vision. In a few hundred years, anthropological archaeology will be a dying art, you’ll be able to dial up entire life experiences to answer any questions you have about the past. Having grown up without the all-encompassing interconnectedness of everything, it’s a pleasant novelty to make friends with people on the other side of the globe, even knowing I will almost certainly never meet them. But a new generation will come to take this for granted, forging lifelong relationships with people many thousands of miles away, most of whom will remain nothing more than lines of computer code floating in the ether. Ultimately, this new era of global interaction between people of different cultures, races, and religions could lead to a less prejudiced, more tolerant society. His is an altogether more polished affair, with a lot more focus on lyrical content and synchronisation, which was the thing I was finding difficult with my restricted facilities. Duncan has done an amazing job, given that I believe he only acquired the PC software a couple of days ago. 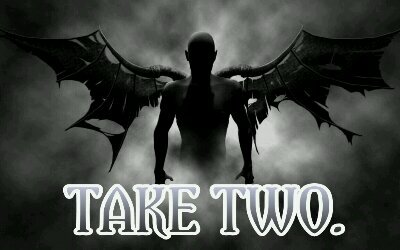 So, here it is HE COME TO PASS 2. As ever, all feedback gratefully received, and in this case, passed on. 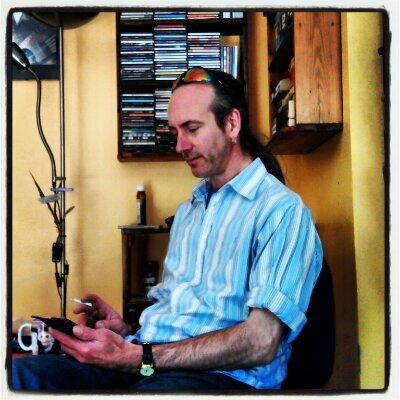 Despite the fact that I have done a few modest experiments in animation and video editing, (see the Sound and vision page) I was still somewhat flattered, or rather amazed, when I got a text from an old friend asking if I’d do a video for his new song. Now, don’t get excited, I’m not going to tell you about a video shoot with glamorous models and car chases at Pinewood studios, so lower your expectations. As I indicated in my Shoot the band… post a couple of weeks ago, I have know many musical types over the years, including Duncan, with whom I shared a house in Crowborough in the early ’90s. 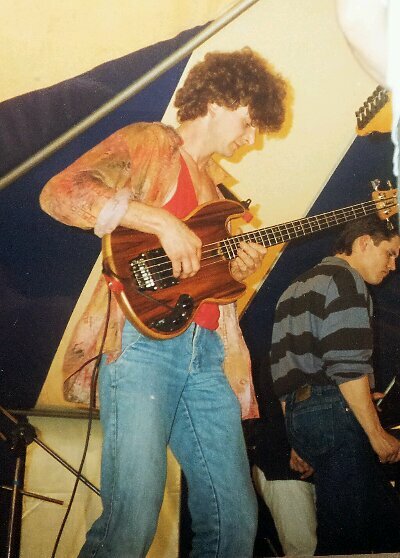 He was then in a band called Network who originated in the Croydon area and who have since become Exelectric. As I said before, there’s nothing like being a hanger-on to a band for getting the vicarious buzz of live music, and I took full advantage of our friendship to do minimal gear-lugging, setting up, and ticket selling duties, enabling me to go to a great many gigs for nothing. With the extra bonus of getting to hang out with a lots of cool people, go to parties, and generally get invited to stuff I would not usually even know about. 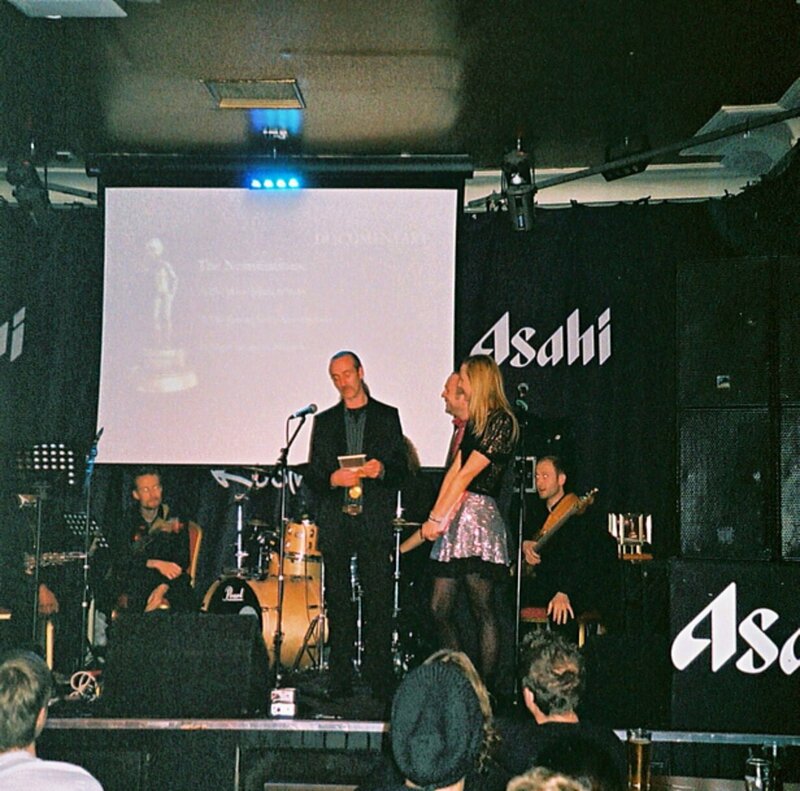 The band played a residency at a local Ashdown Forest country pub, now a posh wedding/conference venue, several dates at Croydon’s legendary Cartoon club, and at many pubs around Sussex, including one that was so prone to power cuts, it had boxes of candles on the walls. At a moment’s notice, the band would have to “go acoustic” for a couple of numbers, until the lights came back on. 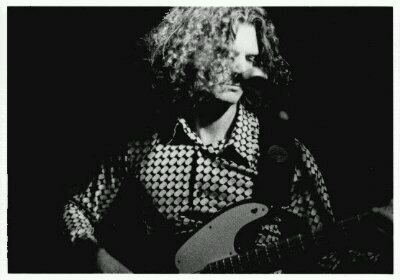 Since then, Duncan has done many things, including starring in a very favourably received production of Jesus Christ Superstar, and you can see Stephen Candy’s photos of that show here. He also writes his own music (yes I know, sickening isn’t it?) and it was his new tune that he wanted some visuals for. As you’ll hear, it’s quite a politically charged song, which I would liken to Prince’s Sign o’ the Times, in style if not in sound, and he wanted something punchy to go with the rhythm. To begin with, I thought of using a close-up shot of Duncan’s mouth miming to the lyrics, which I could intersperse with images after synchronising the footage with the music. He duly spent some considerable time filming and e-mailing the clip, and I spent even longer trying to implement my grand plan. After many failed attempts, and much swearing, I abandoned that option as being too frustrating, and sought inspiration elsewhere. It wasn’t long before I thought of using gifs to achieve the punchy effect he was after. But how to get them into a video? I tried to theme the gif images to fit the song lyrics, but it’s incredibly difficult to synch such things with the software available to me, (due to my ludicrously stubborn insistence on using just my smartphone for all things digital) and that was before I realised that I can’t insert gifs into a video stream, because they’re continuous loops. Back to the drawing board touchscreen. But what if I film the gifs with my camera, then use that footage to make up the video? Except, as anyone who has ever tried to video a TV screen will tell you, it’s very tricky to get a clear, steady shot, without flaring and blurring. Right, ok, we’ll go for the intentionally blurred look then. Nobody will know. That’s the theory anyway. Until I can find the software, or another cunning improvised technique to transfer gifs to video. Any and all advice from any tech-savvy readers would be very gratefully received. 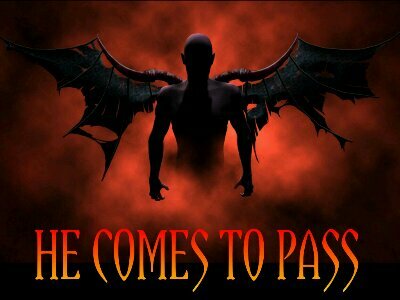 He Comes To Pass – music and lyrics by Duncan Virgoe. Fuzzy, slightly out of focus (on purpose, naturally) visual imagery by me.